Aspire Cleito 120 Replacement utilizes Aspire's new Maxi Watt coil, deploying a clapton structure wicked by pure organic cotton, and is now rated at 0.16 ohms to allow for class leading output capability up to 120W. Like the original Cleito, the Maxi Watt coil design replaces the static chimney, greatly increasing effective cross sectional airflow while outputting fantastic flavor and vapor efficiency. Definitely a go to for me when it comes to tanks and replacement coils. Flavors on point and clouds to match. Coils last a few weeks which makes the price even better. If you haven't tried the 120 I highly recommend it. 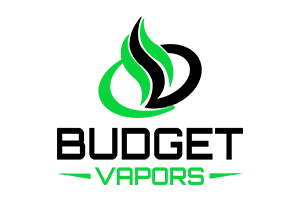 Best coils on the market.Get 4-5 weeks on Budget Vapor juices per coil.because BV juices do not gunk up coils. Excellent deal on the 5 pack of replacement coils! Much cheaper than buying at local shops, where some only sell individual coils at $6 each! BV is always there to save the day and the dollar bills!